Richard Irwin (Belper, United Kingdom) on 27 July 2007 in Plant & Nature. Had a few days in Lincoln, and photographed these lovely flowers in the cities tropical hothouse whilst hiding from the rain and thunder outside. Great shot Richard! I agree the focus is great! 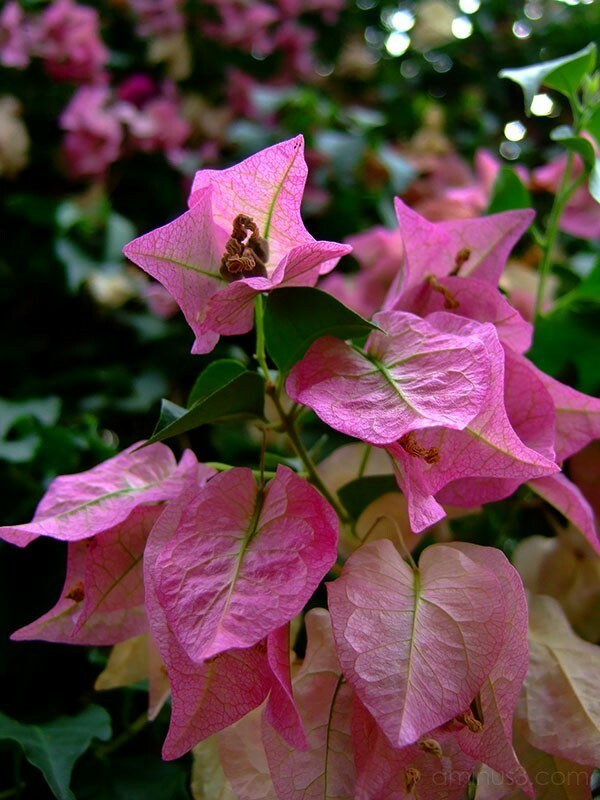 This is the pink Bougainvillea flower, I posted the white one some time ago. Ahhh! Such a sweet shot! Love the detail and texture! Great shot Richard! Dof and exposure so great for the flower. And what the heck is it? I know, you don't know but I am curious.. it looks like the leaves become the blossom or maybe vice versa. Beautiful capture, with very clear detail and textures of the petals/leaves. and unusal looking plant. Very nice shot with great exposure and contrast.